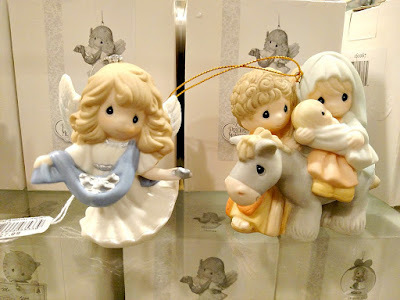 When my oldest daughter was born, my mom started collecting Precious Moments for her every Christmas. She'd get a mini plate, a bell, and a statue. Every year. Then, somehow my ex-husband's mom started getting me a Precious Moments item every year for Christmas. They started to be so numerous, they started taking over my corner bookshelf. This past fall I was given the opportunity to become a Precious Moments Ambassador! It's going to give me the chance to add more to my collection than I could've imagined! Not a bad problem to have, eh? 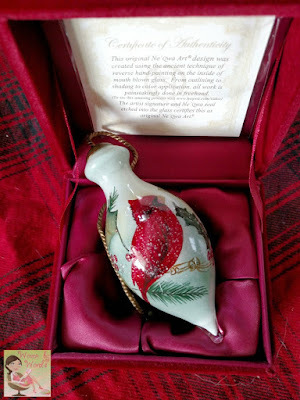 For December, I was sent a hand-painted ornament made of bisque porcelain to review. 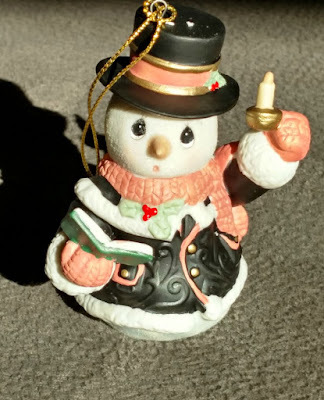 It's the 7th in the annual Snowman Series titled "O Come, All Ye Faithful." When I was at the store the other day, I found the Snowman's "big brother" as a figurine. I was so excited to see it in the store! It's so large. Of course, that wasn't the only item I found. If you're looking for a last minute gift, a Precious Moments ornament is the perfect idea! How could you resist getting a friend or a loved one something so absolutely adorable? They have something for every occasion for every person! 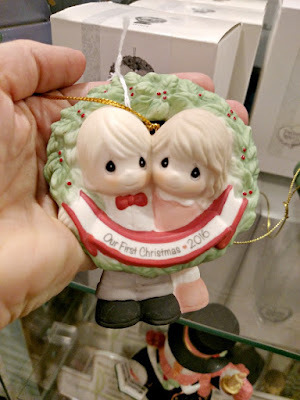 Whether it's a couple sharing their first married Christmas together, a newborn, a milestone, or just because, they have an ornament or figurine for nearly everyone! It's also the perfect time to start a tradition or collection. One of the collections I'd like to start is an heirloom nativity set. Our family doesn't have one, and I'd love having one on the small table in our entry way. You could start their Annual Elf series. This is the first year, and you could even get it personalized! Precious Moments isn't limited to the items you're used to. They also have a couple lines of art pieces that are stunning. I was also sent a Ne'Qua Art Holiday Cardinal. Cardinals are my favorite, so I was thrilled to open this gorgeous velvet box. These are made by painting art in reverse on the inside of blown glass. 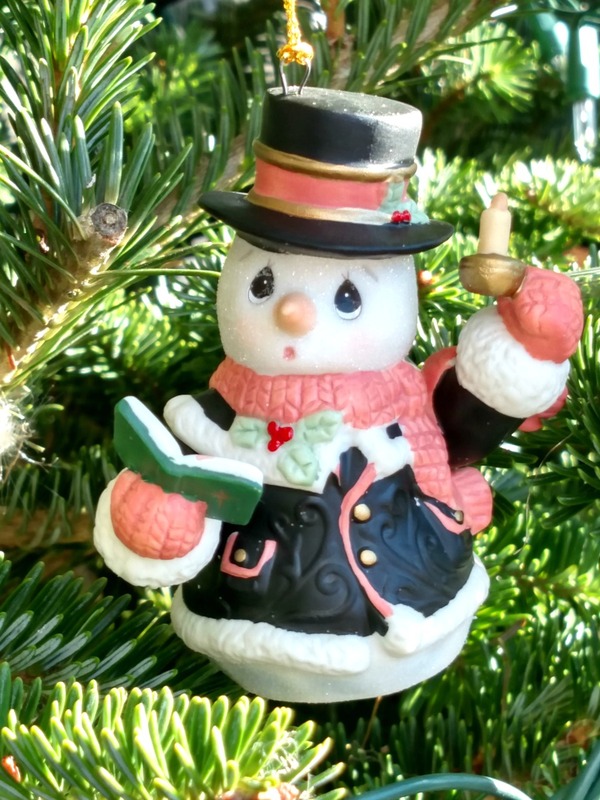 What do you collect during the holidays? Every year my parents gave me a Precious Moments figurine or ornament for Christmas. 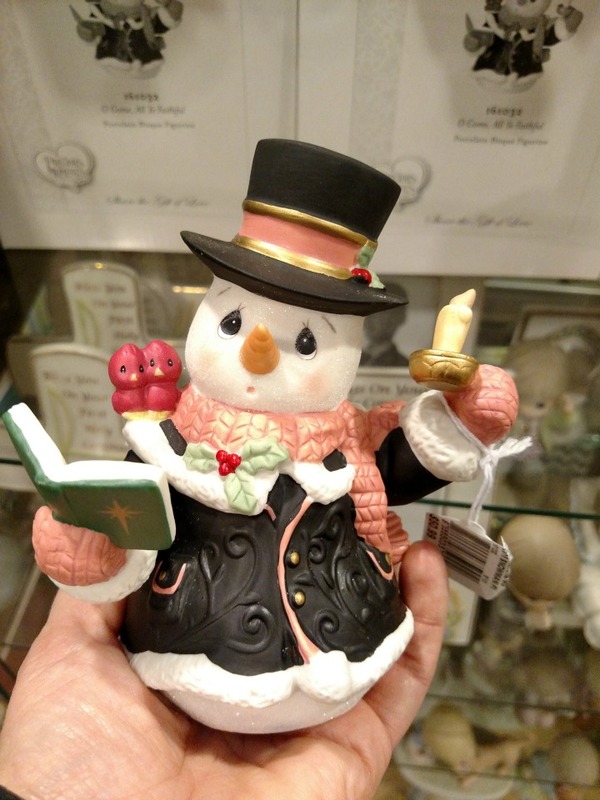 They just stopped recently because there isn't a Hallmark store nearby anymore. I would love to be a Precious Moments ambassador. How did you get to do that? I absolutely love the snowman! Where did you find them? The cardinal ornament is beautiful also. I'd love to know how they paint on the inside of it. That's amazing. I used to collect angels but finally had to stop. I was getting way too many. There are so many beautiful things this time of year. 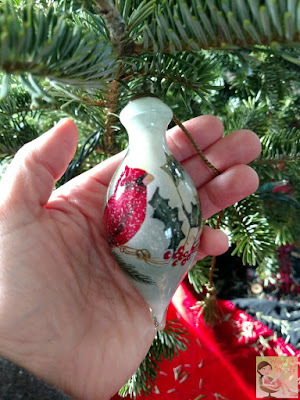 I have a few Precious Moments ornaments from my childhood that I still hang on my tree today. The cardinal ornament is beautiful I must add it to my collection. I loved collecting Precious Moments as a child. Their sweet eyes make you want to buy all of them! I haven't bought one in a while though. This so reminds me of when I was little. Such sweet little ornaments and trinkets Precious Moments pieces are! Those are so cute. We don't currently collect anything at Christmas but I'm starting to think we should!